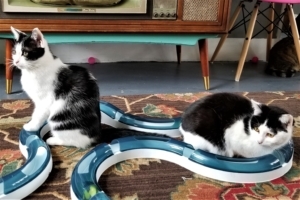 “Cowgirls” Calamity and Oakley are black & white sisters who are not yet out of kittenhood. 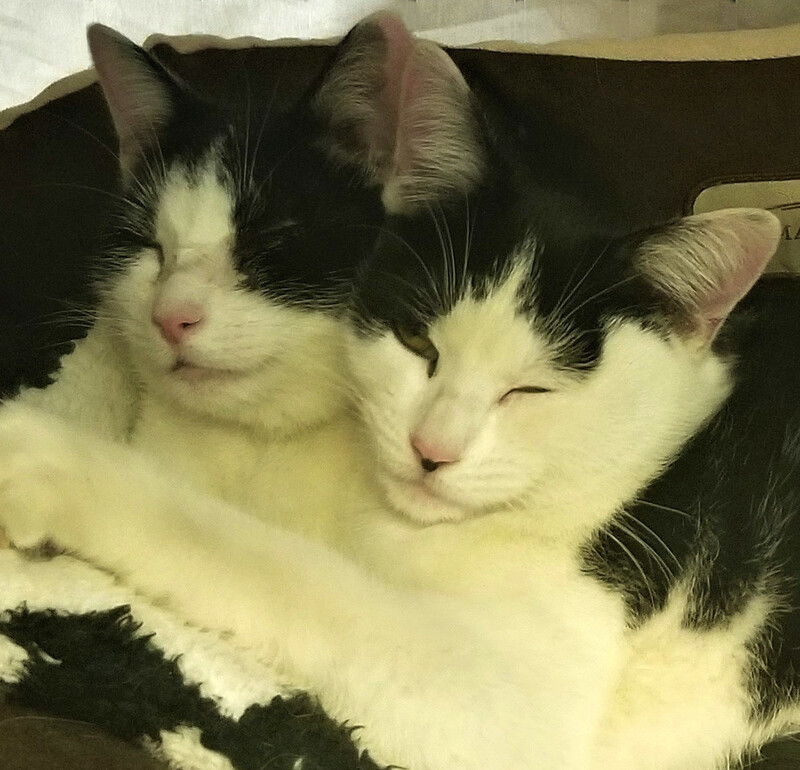 These girls are a tightly bonded pair and so must be adopted together. 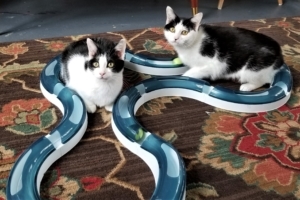 Oakley is the more confident and curious of the two, while Calamity is more cautious and requires a bit more time to adjust to new things. Calamity is slightly shy until Oakley gives her the cue that all is okay. They do spend time apart from each other, but if one is getting attention, the other will casually stroll over to share the love. 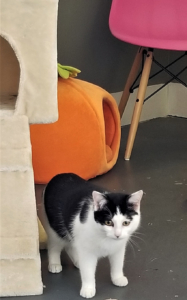 These girls would do well in a home as only pets, or with other cats and/or low-activity dogs. They should also be fine with children older than toddler age. 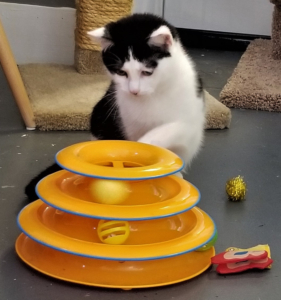 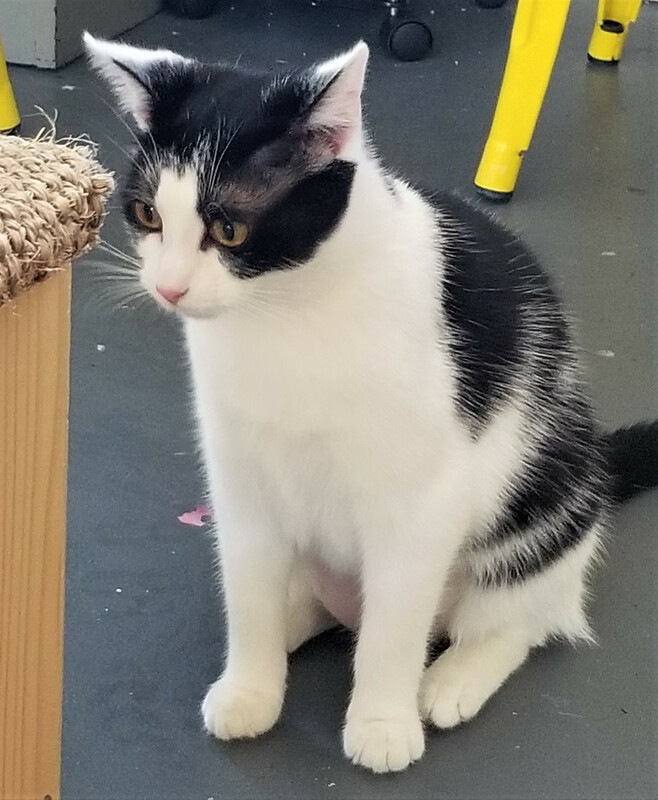 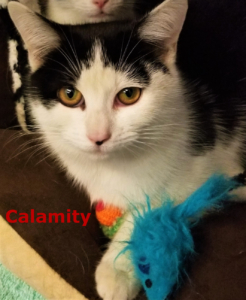 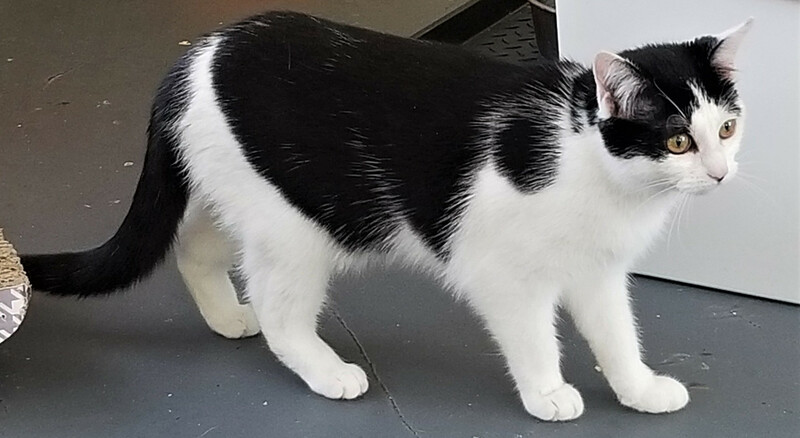 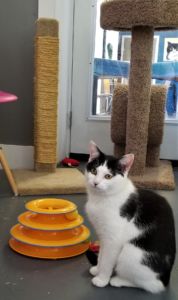 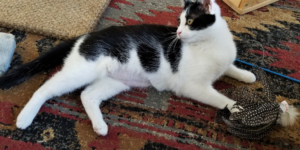 If you think Calamity and Oakley would be a good fit for your home, please make a reservation to come meet them at the Java Cats Café Meowietta cat lounge! 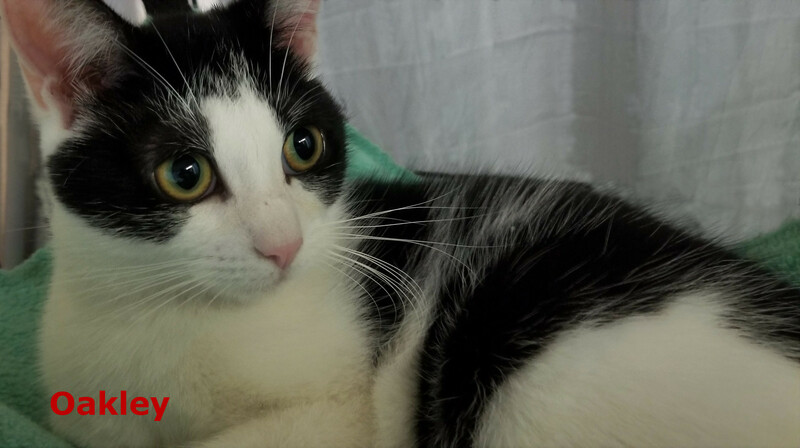 They have been spayed and microchipped and are up to date on all their vaccinations.